Chinese Hamster Ovary (CHO) cells are used in the development and production of recombinant proteins. The genomic position(s) of transgene integration site(s). Single nucleotide variants in the transgene sequence. Structural changes in the transgene sequence and integration site. Changes resulting from targeted (trans)gene editing. 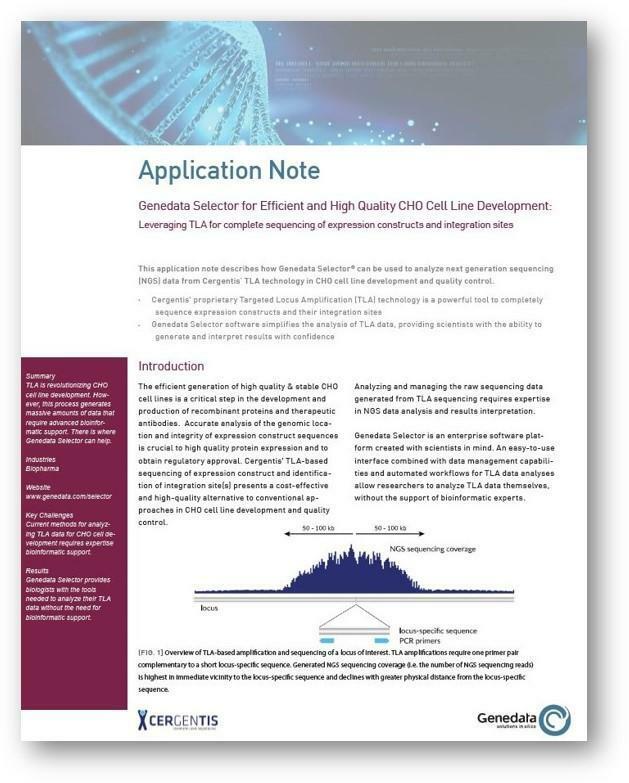 The TLA technology can be utilised in various stages of CHO cell line development (e.g. early stage clone selection) or to assess the genetic stability and clonality of Master Cell Banks, Working Cell Banks and End-of-Production cells. Cergentis supports many leading pharmaceutical companies in CHO cell development and Quality Control. Watch a replay of a recent webinar on TLA-based targeted transgene & integration site sequencing in (CHO) cell line development and quality control.